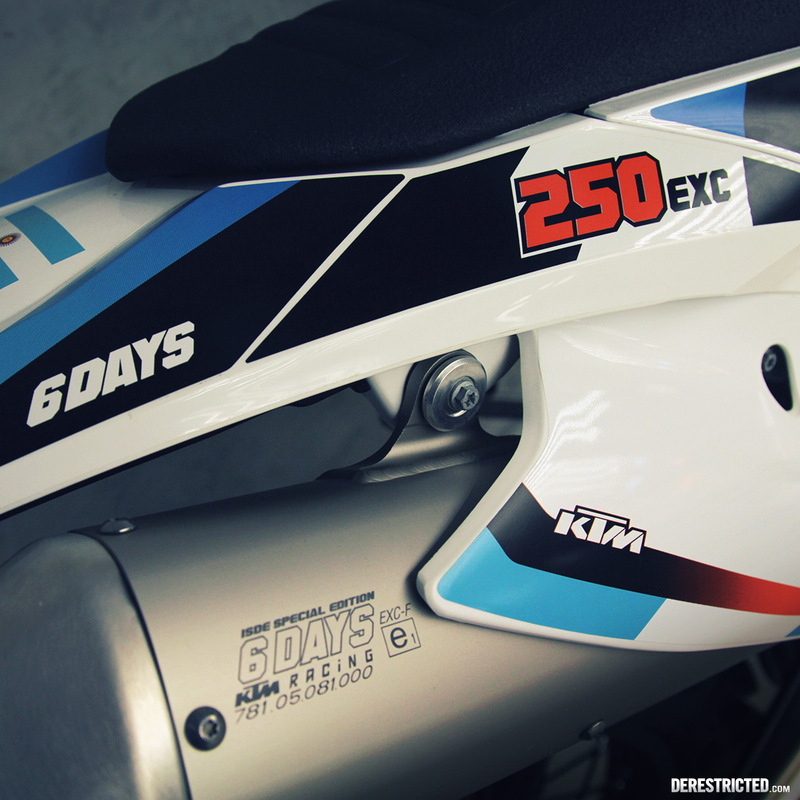 2015 #ktm #250exc tail gfx. 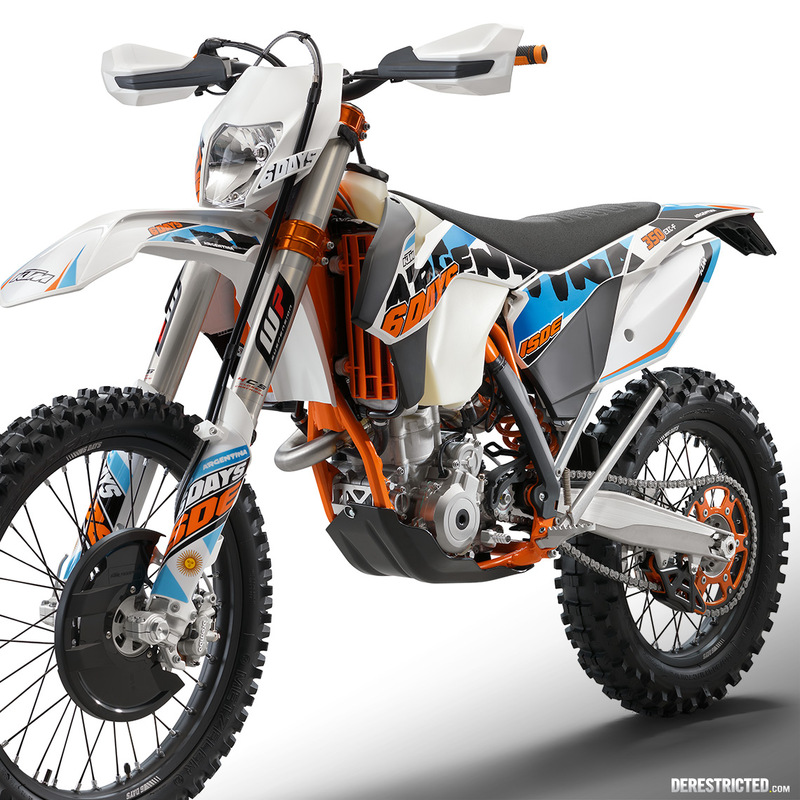 The 2015 KTM 6 Days EXC for this year has an Argentinian themed graphic as that is where this years ISDE race will be held. The light blue used in the Argentinia flag was a little tricky to work with, so we added a darker blue gradient over it in places to make it a bit bolder. We also tried a slightly different style for this year to fit better with the Argentinian theme. The 6 days event is always in a different country each year, so the idea was to bring a bit of that travel feeling into the graphic. It is meant to look a bit like your passport being stamped all crooked as you go through customs to enter the country or the travel labels on your luggage being stuck on at all angles. A little rough around the edges but still bold and clearly showing the destination of the event, in this case, Argentina. 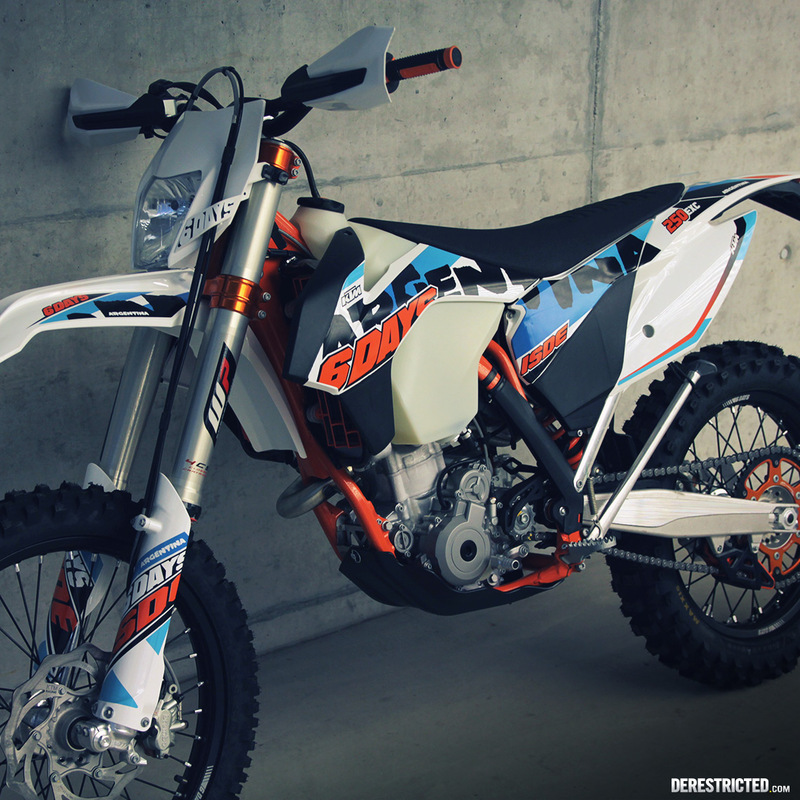 Below are some photos of the final bike we presented to KTM at KISKA as well as some studio shots of the finished production bike. 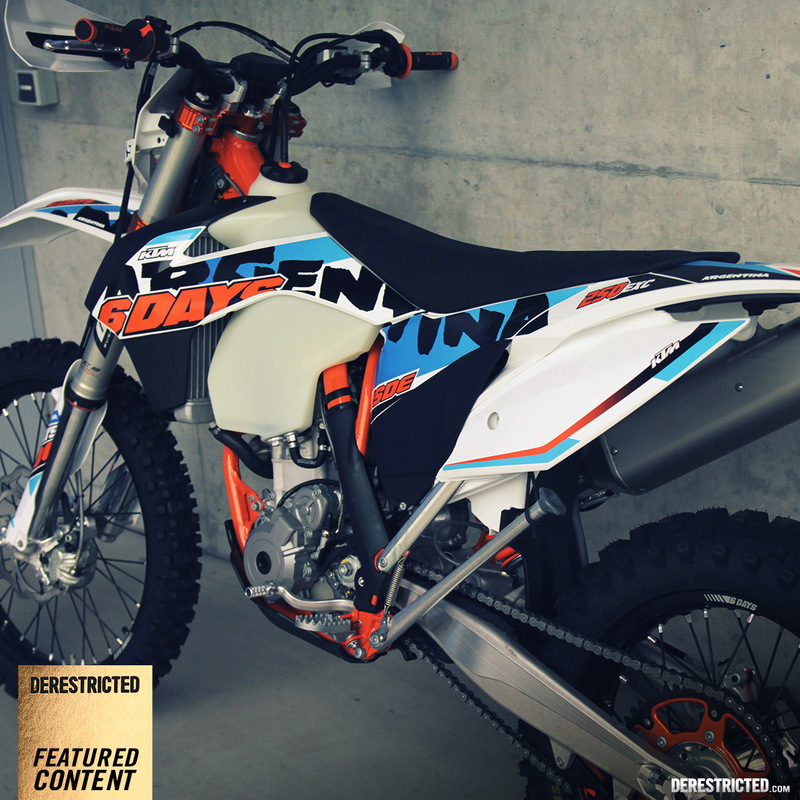 You can see the full lineup of 6 days models now on the KTM website here. Looks great! I have a new favorit 6D graphic since the Saxony ISDE…. 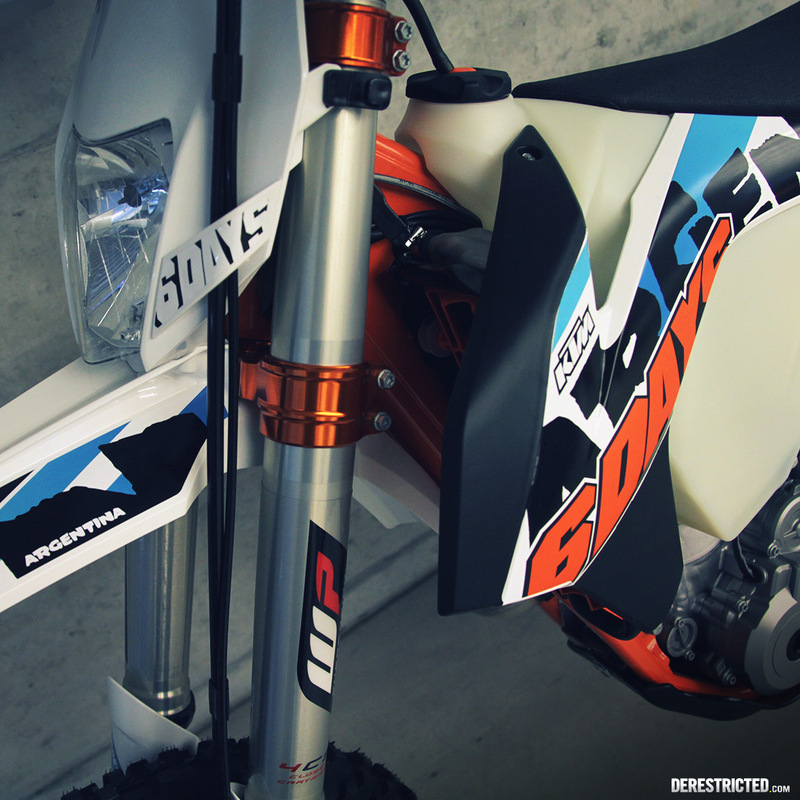 The flag’s blue is perfect complementary to the ktm’s orange. Don’t worry, I wont sue you man. 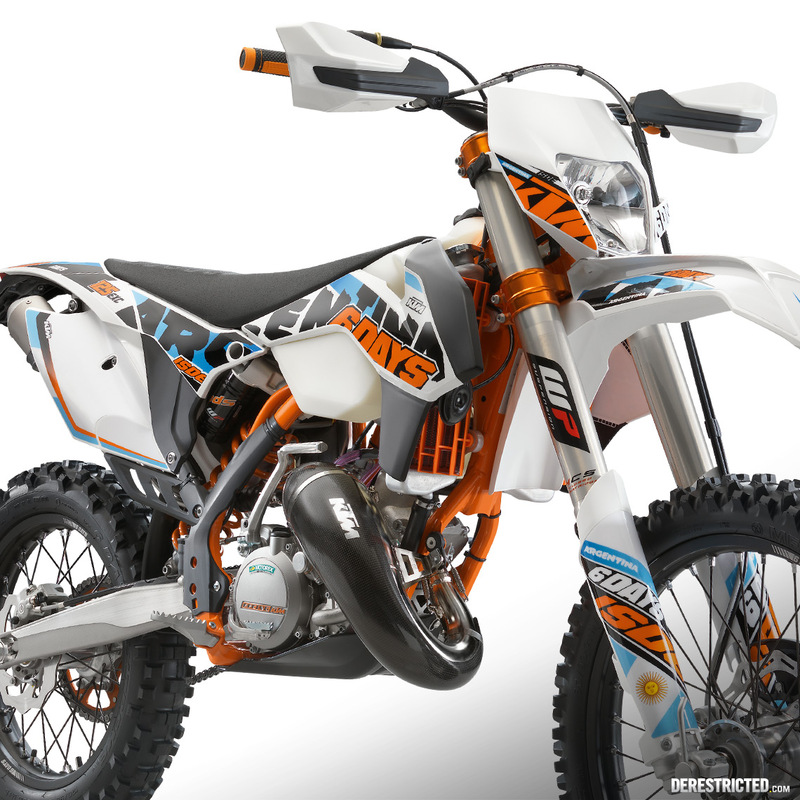 if it’s just for personal use I cant imagine KTM would sue you either, but please don’t quote me. about to pre order the 2016 Slovakia 6D! Any idear when images will be released? Just pre-ordered the 2016 Slovakia 6D! Any idea some images are going to be released? Should be soon i would think. The presentation bike looked great, just hope the final version is as good! 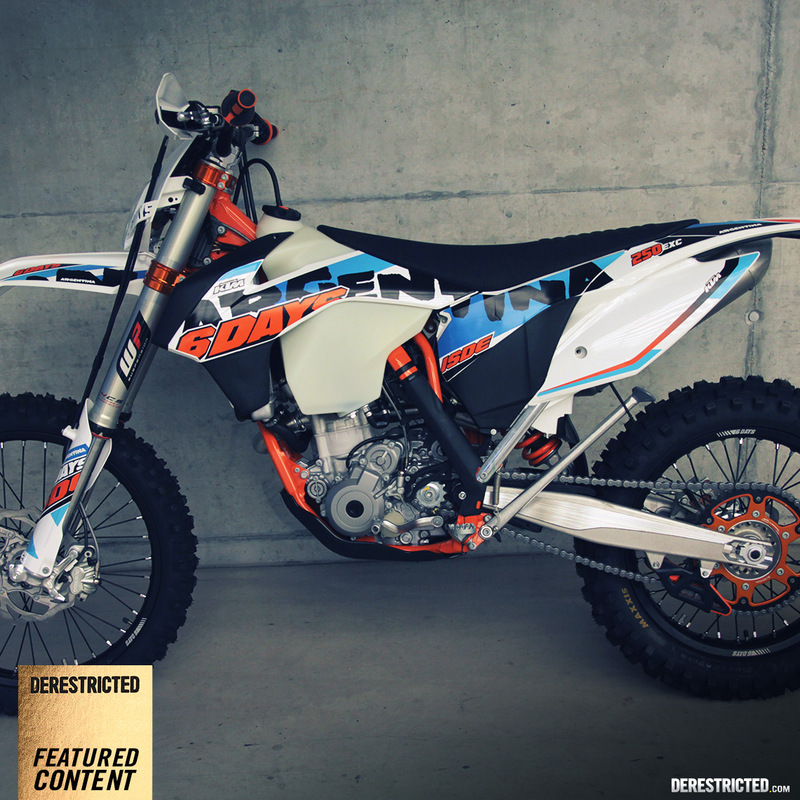 2015 ISDE in Slovakia? 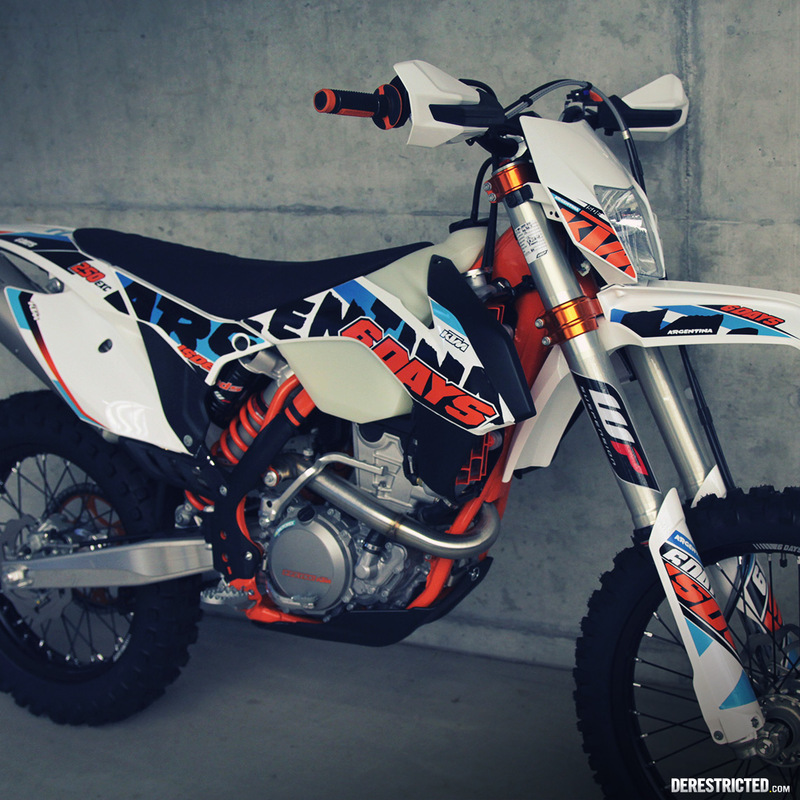 whooou that´s my country :) I´m getting my ´14 690 Enduro next week so I will be a spectator for sure. 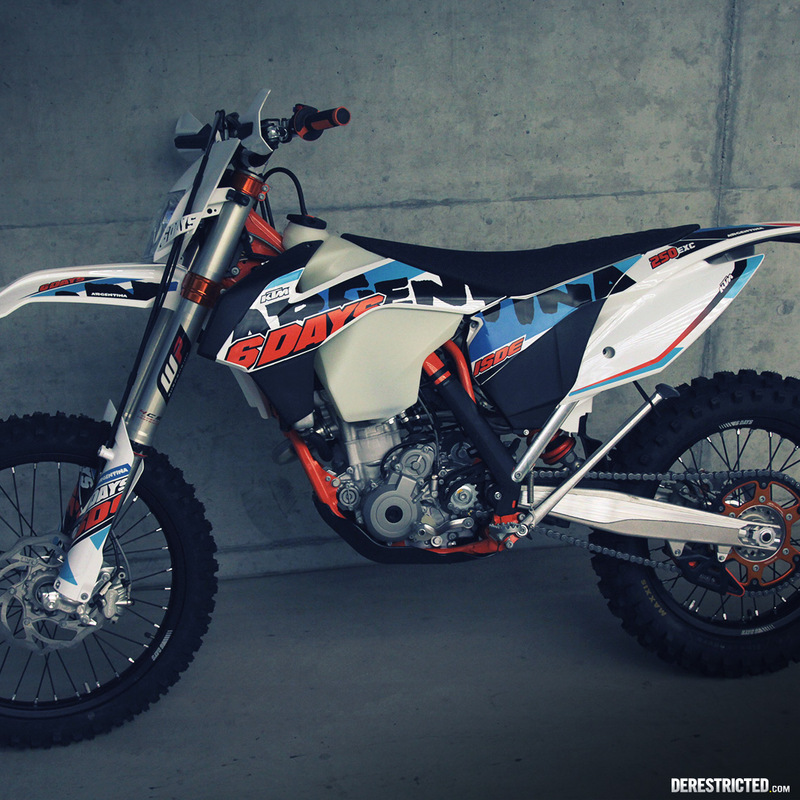 By the way, how is it with design on KTM´s? 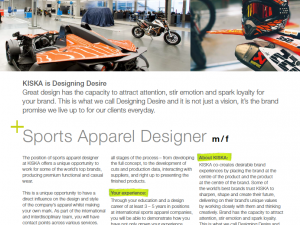 Kiska makes bike design and Derestricted makes color themes? sorry, just saw this comment! 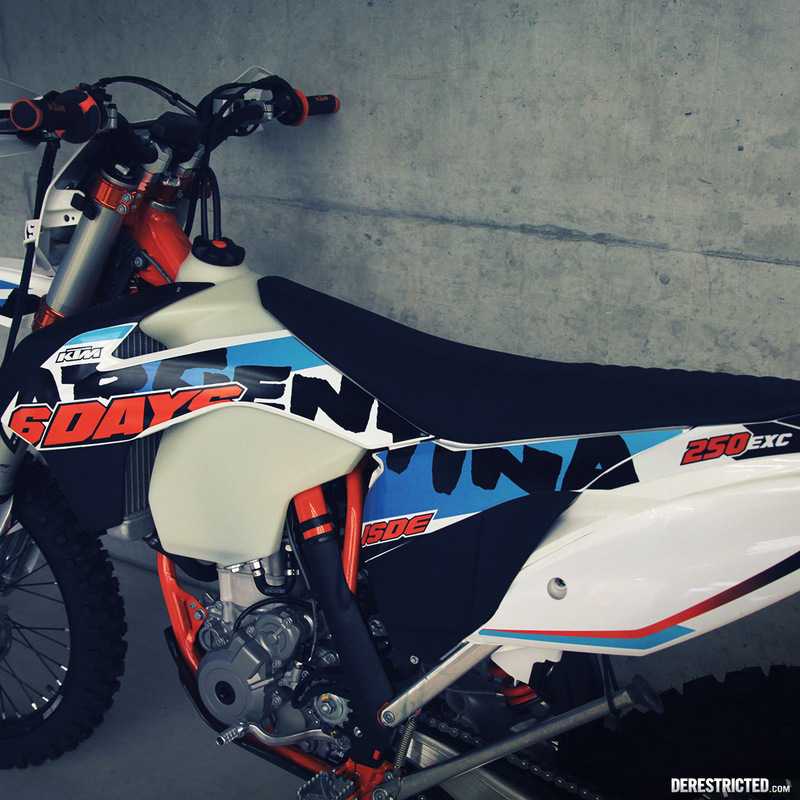 No, I work at KISKA, we do all design and marketing for KTM in house. 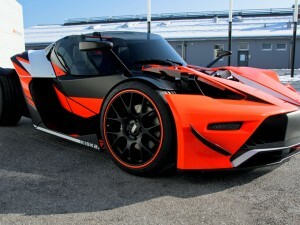 DERESTRICTED is just a pet project on the side and has nothing officially to do with KTM. can you make this graphics brasil six days ?